So let's get the major criticism out of the way right now. Why reboot the Spider-Man series so soon? The dismal Spider-Man 3, overstuffed with dangling plot threads left over from previous films, only came out 5 years ago. But it isn't like the series couldn't recover from one crappy film. Rising salaries for its three principals, Tobey Maguire, Kirsten Dunst and James Franco may be partly to blame. But why not just recast? Perhaps the aim is to rebuild on a better foundation. Whatever the reason is, the one thing that's certain is that Sony Pictures had to make a Spider-Man film pronto because, if they didn't, the rights would revert back to Marvel Entertainment and presumably its owner, Disney. Since Maguire and Dunst are getting a bit long in the tooth to realistically keep up the romantic histrionics in perpetuity, the reframing of the series with a younger audience in mind was assured. Hence, The Amazing Spider-Man. So do the filmmakers get it right? Director Marc Webb [(500) Days of Summer] sure gets the high school subculture Peter Parker (Andrew Garfield) doesn't quite fit into correct. So he's a little more emo than nerdy. 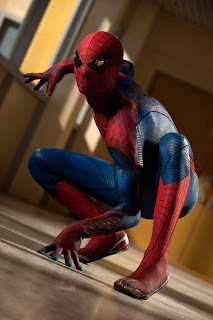 This version of the character is still smart enough to develop his own web shooters, a nod to the comic book Parker's inclination towards bio-technology. If there's one major drawback to the film, it's the way Peter's intellect is folded into a conspiracy that links his deceased parents (Campbell Scott, Embeth Davidtz) to geneticist Dr. Curt Connors (Rhys Ifans) and his employer, Oscorp. (Keen fans will remember that Oscorp's owner, Norman Osborn—who's not in the film—is the future Green Goblin.) This sense that everyone is linked together around Peter's fate robs The Amazing Spider-Man of one of the primal qualities which informs the original character, the fact that he is an everyman. DC Comics had Superman, who was practically a demigod, or Batman, a millionaire who had trained himself to the peak of physical and mental acuity. In response to their business rival, Marvel's anti-superheroes were built around fatal flaws. Iron Man had to wear his super armor in order to keep his injured heart functioning, and the Hulk's alter ego would always wake up from one of his blackouts horrified at the idea that he might have killed someone during a rampage. This Spider-Man truly is amazing, cracking a formula Connors has worked years to perfect after the passing of Peter's dad, and inadvertently helping to create the monstrous hybrid, the Lizard. This pompous sense of predestination, that Peter is meant for loftier things (both great and terrible) is further enhanced by an admittedly lush (though grandiose) score by James Horner, one which resembles his work in A Beautiful Mind, to give you an idea of the tone they're going for here. The Amazing Spider-Man's reverential, epic flavor is also reminiscent of Richard Donner's Superman: The Movie (1978) and Christopher Nolan's Dark Knight series. John Schwartzman's gorgeous shots of New York keep Spidey small in the frame, tiny even, emphasizing the "real" New York that he dwells in. It's a trick cribbed from those previous films I cited in order to at once ground the comic book web-slinger and surround him with an aura one could ascribe to the legendary. But all this myth-making complicates what has always been a simple story about one boy's guilt over the death of his father figure. In that sense, The Amazing Spider-Man is a retread of Sam Raimi's Spider-Man where Norman Osborn becomes a surrogate father to Parker after his Uncle Ben is killed in a mugging. 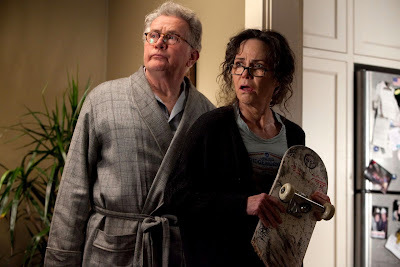 This movie's Parker is trying to fill the void left by his father's mysterious death, a job that his Uncle Ben (Martin Sheen) is fairly successful at even though Parker only realizes it after his inaction contributes to his uncle's murder. Though the exposition-filled first act contributes to the overlong feeling of the film, one way it does help is in establishing the relationship between Peter and his uncle. Sheen spends a great deal more time onscreen than Cliff Robertson did in the same role for Raimi. So when Uncle Ben is killed, his death is more impactful, giving one a very acute sense of how Peter's loss. For a while Parker looks to Connors, a man closer to his father in both intellectual and collegial terms. But after initially rebelling against him, he finally acquiesces to the more authoritative Police Captain Stacy (Denis Leary), father of his girlfriend Gwen (Emma Stone). Webb is spot-on in his casting. The doe-eyed Garfield and Stone are as cute as the heroic figures of some anime. But they are also far more appealing—both on their own and together—than the dishwater-dull Maguire or Dunst as the whiny Mary Jane. Garfield gets the dichotomy of Spidey perfectly; he's awkward as Peter but a wisecracking ball of sarcasm as the web-head. And as the resourceful and nervy Gwen, Stone has the good fortune to serve as a sharp contrast to Dunst's badly written, clingy character. Being a cop's daughter, Stone's Gwen is fully aware and capable of dealing with the life of danger her boyfriend leads, if not necessarily excited about it. 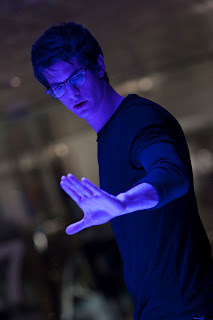 There is chemistry between Garfield and Stone, and it's one of the chief reasons to see The Amazing Spider-Man. 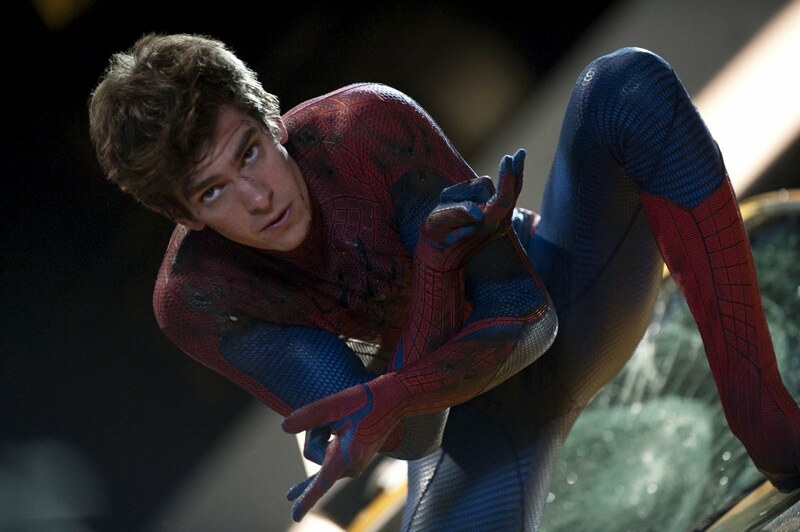 The Amazing Spider-Man features a strong cast and some interesting motivations driving its lead character. Its cinematography, score and setting are a distinct improvement on Raimi's less self-important trilogy. There's no Mary Jane, no Harry, not even J. Jonah Jameson (although we do see a cover of his newspaper, the Daily Bugle), wisely avoiding cramming in too much of Spidey's supporting cast and leaving itself room for inevitable sequels to fill in the blanks. And I didn't even get to the gloriously kinetic point-of-view shots that are sprinkled throughout Spider-Man's heroics. But faint praise isn't exactly a ringing endorsement. If you sense I'm on the fence about this iteration of Spider-Man, then you are correct. The Amazing Spider-Man doesn't exactly move me to give it a full-throated show of support. If you're a fan or interested in another take on Spidey, go see it. Otherwise, there's really nothing new here. I am definitely looking forward to this movie, though you are probably right in saying it's a bit soon -- we're all still a bit hungover from the mess that was Spiderman 3. :-) Thanks for your great review. I'm glad to hear that Emma Stone and Andrew Garfield "work" here.